THE BELIEF OF the Iglesia Ni Cristo (Church of Christ) regarding the state of being of the Lord Jesus Christ is what the Bible teaches about Him, no more, no less. What the Lord Jesus Christ Himself teaches about Himself and what the apostles teach about Christ is how the Iglesia Ni Cristo recognized the Lord Jesus Christ. We based our belief about the Lord Jesus solely in the Bible. 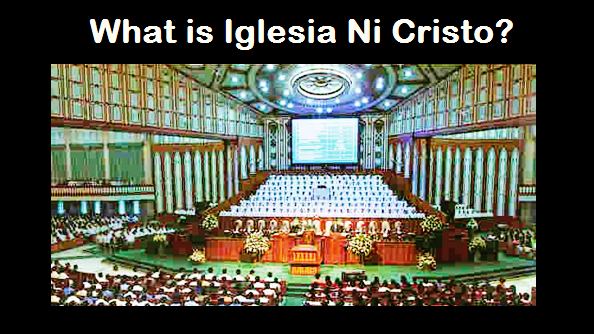 Therefore, the belief of the Iglesia Ni Cristo (Church Of Christ) regarding the Lord Jesus Christ differs greatly from other churches because we based our belief about the Lord Jesus Christ SOLELY in the Bible, while the those who believe that Jesus is God, like the Roman Catholic Church, admitted openly that they did not derive their faith in Jesus from the Holy Scriptures.